Sensei Robinson started his training in 1978 under Sempai McWilliam in Vernon, B.C. In 1982 he met Shihans Don and Stuart Corrigal and started training under them on a regular basis. He has been a supporter of the IKOKC since it was formed and spent many years on the board of directors. Sensei Robinson has trained under a large number of the senior instructors within the IKO, including Shihan Bobby Lowe, Kancho Matsui, Shihan Gorai, Shihan Andre Gilbert, Shihan Nick Cujic to name a few. He traveled to Hawaii many times to train with Shihan Bobby Lowe at his dojo and the many seminars that he organized. He has been to the European Summer Camp in Papendal as both a student and instructor. 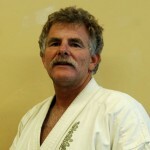 Patrick Place began training in 1996 at the Armstrong under the guidance of Sensei Larry Robinson. Promoted to Shodan in 2009. Patrick has had the opportunity to attend the World Tournament in Tokyo, Japan and has trained in Honolulu, Hawaii with Shihan Lowe. Attended the International Black Belt Conference in Banff, Alberta, in addition to many Black belt, Summer and Winter Camps in British Columbia. Pat continues to train on a regular basis at the Armstrong Dojo. Brian began his Kyokushin Karate training in the fall of 1999 at the age of 42. 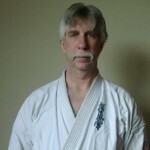 Over the years he has attended many Sumer and Winter Camps and Black Belt Conferences. He has also competed at several local Kumite tournaments winning 2 silvers and a bronze medal. At the 25th.Canadians Championships he was awarded the first ever Ken Corrigal Memorial Spirit award. In 2008 he successfully completed his shodan testing. Brian continues to train under Sensei Larry at the Armstrong Dojo. 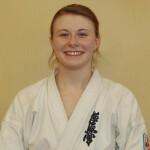 Melissa Severson started her training in 2002 under the instruction of Sensei Larry Robinson at the Armstrong Dojo. Now 20 years old, Melissa has a strong passion for teaching the youth class and has actively been doing so for the past few months. Her goal is to create as great of a learning environment within Kyokushin karate for the children she teaches as her Sensei does for her. This continued experience with the youth class has also encouraged her to go to school in order to become a certified teacher. She has attended various IKOK summer camps, winter camps and tournaments. She wishes to continue to participate in these events as much as possible. She has recently acquired her Associate Judge certification and hopes that this will lead to her continued inclusion in the Kyokushin tournaments. Kaylene Started training in 1999 under the instruction of Sensei Larry Robinson in the Armstrong Dojo. She has attended numerous training camps within the IKOKC over the years and also competes in as many tournaments as time allows. 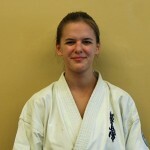 She is currently an associate judge and helps teach the juniors classes in the Armstrong Dojo. Kaylene is a lifeguard and swim instructor for the City of Vernon. The Armstrong Dojo was started in 1980 by Sempai Jeff Fast and Sempai Lyle McWilliam. 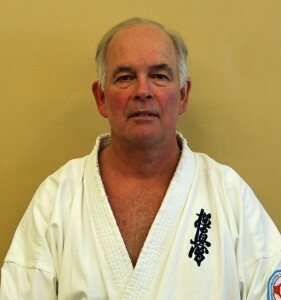 It was turned over to Sensei Larry Robinson in 1981 and he has been the head instructor since this time. We purchased an old church in 2002 and renovated it into a dojo where we currently hold all our classes. The Armstrong Dojo hosts the annual IKOKC Summer Camp and a Black Belt Brown Belt camp each year.